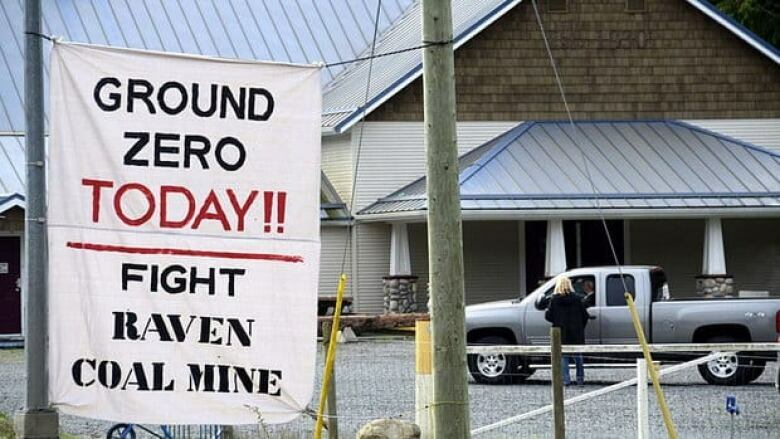 Plans for the controversial Raven coal mine in the Comox Valley have come to a halt. On Monday, Compliance Energy Corporation withdrew its application for a second environmental assessment. ​"We received some misinformation that is circulating in some communities regarding the Raven Project and believe it is appropriate we withdraw the project from the screening process at this time," president and COO Stephen Ellis wrote in a letter to the B.C. Ministry of Environment. The proposal was initially rejected by the province in 2013, saying it didn't have enough information to make a decision, but the company put in a new application in January. The Environmental Assessment Office issued a statement to the CBC. "Following a careful review, we advised Compliance Coal of issues that we identified with their application for the Raven Underground Coal project and they have decided to withdraw it," it read. It said Compliance Energy Corporation can still resubmit another application after it deals with the issues identified. The letter from Ellis indicates the company may try to revive the project in the future. "We remain confident that the Raven Coal Project will be developed in an environmentally favourable manner and will provide considerable economic and social benefits to the Comox area," he wrote. To hear an interview from John Snyder, president of Coalwatch Comox Valley, click the audio labelled: Raven coal mine on hold.